On a national level, orthodontists usually charge more for Invisalign clear aligner therapy than traditional metal braces due to the advanced technology and lab fees. At our practice, however, we historically charged the same. This way, when patients are choosing between both, price is not a factor, but, rather, which option is better for their specific needs and lifestyle. 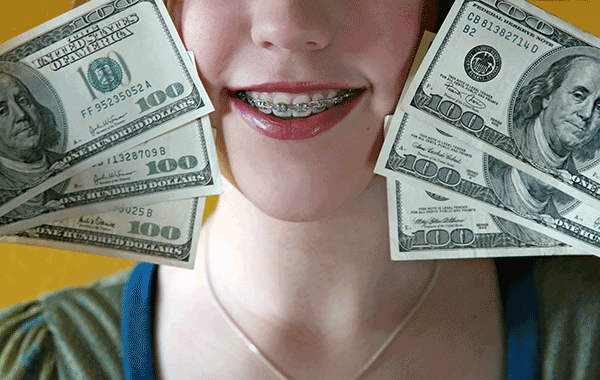 In fact, as of 2019, we started charging less for Invisalign than traditional braces. We believe in the Invisalign system and its capabilities so much, we want to impassion our patients to utilize Invisalign and make it more affordable to all. We will still offer both traditional braces and clear aligner therapy, but we really feel that Invisalign has so many benefits. Our practice reflects this sentiment as, on average, we treat 85 percent of our patients with Invisalign and more than 95 percent of adults opt for clear aligners. In our new Invisalign Experience store, we treat 100 percent of patients using Invisalign when straightening teeth and correcting bites. We believe this is the orthodontics method of the future, and we want to be at the forefront of that technology. It is important to note that Invisalign is an orthodontic treatment just like braces, so insurance policies cover part of the treatment or the full treatment depending on the specific policy. Patients can also use pre-tax dollars in their flexible spending account (FSA) or health saving account (HSA) toward Invisalign treatment.